Our guest blogger from DSWD shares some practical and logical insights from a beneficiary of the agency’s Sustainable Livelihood Program who was able to become a successful entrepreneur from the grassroots in Palawan. While most get paralyzed and decide to postpone (if not abandon) ideas of running a business, Nanay Wilma T. Urbano of Barangay Villa Libertad took the necessary first step of getting started. It was a game of trial and error, jumping from setting up a small tiangge near her house, to engaging in the copra business. She found little success in these, but gained experience anyway. If things do not work out as planned, Nanay Wilma’s experience tells that starting again remains an option. Most businessmen would understand this, but for someone like Nanay Wilma, it is not very easy to live by this rule. With 4 children in school (and a fifth one coming out this year), it is imperative that she uses her resources wisely, and refrain from taking chances. Her children in grades 5, 3 and 1 were enrolled under the government’s conditional cash transfer program, while the fourth one goes to the nearby Daycare center. 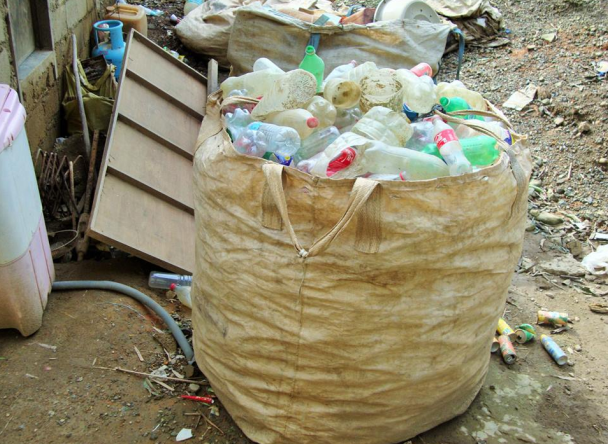 With a stroke of determination, last March 2012, Nanay Wilma took a bold step by borrowing P10,000 from the Department of Social Welfare Development’s (DSWD's) Sustainable Livelihood Program to start her business with scrap (of collecting and selling junk). She had safeguards in place, and a little amount of savings kept intact. "Hindi ako naghahangad maging mayaman, pero gusto ko lang [sa oras ng] pangangailangan, may mahuhugot. (I do not dream of being rich, but I want to make sure that in times of need, I have spare money to spend)." There came a time when one of her children got run over by a rushing vehicle. She was thankful to have spare money for her child’s hospitalization. 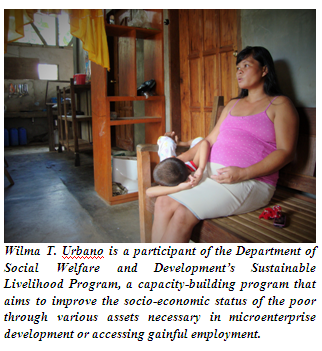 In relation to the second point, one way on how Nanay Wilma tries to mitigate risks is by expanding her asset base. After being able to repay her initial loan, from the credit and savings facility run by the association she was part of (Gumamela SEA-K association), she borrowed the same amount for a second and third time. Soon, she was earning between P25,000 and P32,000 per month. 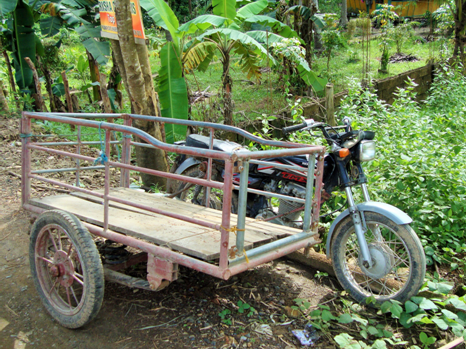 Through this and her earnings, she purchased a sidecar for transporting goods (including scrap), and a tricycle which his husband drives for additional income. Construction is one of the industries prospering in the area, and nanay Wilma thought of fabricating hollow blocks which they sold to suppliers and private individuals. They are dependent on when the orders came, but the additional earnings of P10,000 to P15,000 every time helped the family in defraying household expenses. With a keen eye for opportunities that came her way, Nanay Wilma had plans totally unrelated to her current business. Due to recent developments including the construction of an airport in El Nido, Nanay Wilma also invested on two lots (150 square meters each) where she intends to put up a boarding house in anticipation of the influx of workers. She has fully paid one of the two lots, and once enough capital has been raised, she will proceed with the construction of the boarding house. Finally, Nanay Wilma demonstrates that keeping a positive attitude is key. “Kung sila ngang mayayaman nagpapakahirap para yumaman pa. Eh ‘di kami dapat maghirap din para may marating (If the rich work hard to get richer, then we must work hard also to reach our aspirations)." The encounter lasted for roughly two hours, but the crash course from an unassuming entrepreneur proves worth emulating – especially for those who wish to start up a business and think they barely have enough means. Rex Francis Coz has a degree in BS Management from the Ateneo de Manila University. He is currently a Project Development Officer at the Sustainable Livelihood Program, where he handles engagements with both public and private sector partners. 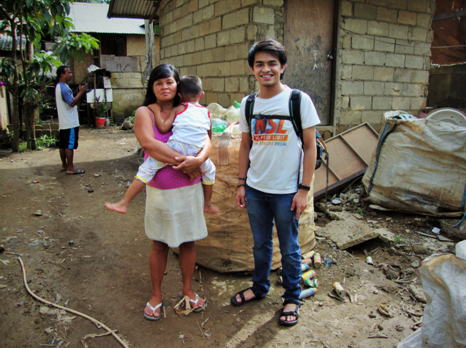 Experience in the program has given him a deeper understanding and appreciation for entrepreneurship through the lens of people like Nanay Wilma.